Please click on the button marked “I’ve read and accept the terms & conditions” at the checkout if you accept them. If you refuse to accept these Terms, you will not be able to order any Products from our site. 1. The images of the Products on the site are for illustrative purposes only. Although we have made every effort to display the images accurately, we cannot guarantee that your computer’s display of the images accurately reflects the Products. Your Products may vary slightly from those images. 2. All Products shown on our site are subject to availability. We will inform you by e-mail as soon as possible if the Product you have ordered is not available and we will not process your order if made. 1. This clause 5 only applies if you are a consumer. A consumer is someone who is not entering into the Contract in the course of their business, trade or profession. 2. If you are a consumer, you may only purchase Products from our site if you are at least 18 years old. 3. As a consumer, you have legal rights in relation to Products that are faulty or not as described. Advice about your legal rights is available from your local Citizens’ Advice Bureau or Trading Standards office. Nothing in these Terms will affect these legal rights. 1. This clause 6 only applies if you are entering into the Contract in the course of your business, trade or profession. 2. You confirm that you have authority to bind any business on whose behalf you use our site to purchase Products. 1. For the steps you need to take to place on order on our site, please see our How To Shop Online page. 3. After you place an order, you will receive an e-mail from us acknowledging that we have received your order. However, please note that this does not mean that your order has been accepted. Our acceptance of your order will take place as described in clause 7.4. 4. We will confirm our acceptance to you by sending you an e-mail that confirms that the Products have been dispatched (“Dispatch Confirmation”). The Contract between us will only be formed when we send you the Dispatch Confirmation. 5. If we are unable to supply you with a Product, for example because that Product is not in stock or no longer available or because of an error in the price on our site as referred to in clause 12.5, we will inform you of this by e-mail and we will not process your order. If you have already paid for the Products, we will refund you the full amount as soon as possible. 1. We may revise these Terms from time to time. Every time you order Products from us, the Terms in force at that time will apply to the Contract between you and us. You must check these Terms each time that you order Products from our site as they may not be the same as the Terms that applied to your previous purchases. 1. This clause 9 only applies if you are a consumer (for an explanation of the word consumer, see clause 5.1). 2. If you are a consumer, you have a legal right to cancel a Contract under the Consumer Protection (Distance Selling) Regulations 2000) during the period set out below in clause 9.4. This means that during the period in clause 9.4 if you change your mind or for any other reason you decide you do not want to keep a Product, you can notify us of your decision to cancel the Contract and receive a refund. Advice about your legal right to cancel the Contract under these regulations is available from your local Citizens’ Advice Bureau or Trading Standards office. 1. you break the seal or wear some or all of the Products that you wish to return. 2. Or the Products have been designed to your specification or clearly personalised; or have a security seal which you have opened or unsealed. 4. Your legal right to cancel a Contract starts from the date of the Dispatch Confirmation, which is when the Contract between us is formed. If the Products have already been delivered to you, you have a period of 7 (seven) working days in which you may cancel, starting from the day after the day you receive the Products. Working days means that Saturdays, Sundays or public holidays are not included in this period. 5. You will receive a full refund of the price you paid for the Products. We will process the refund due to you as soon as possible and, in any case, within 30 calendar days of the day on which you gave us notice of cancellation as described in clause 9.5. If you returned the Products to us because they were faulty or mis-described, please see clause 9.7. 6. If you have returned the Products to us under this clause 9 because they are faulty or mis-described, we will refund the price of a defective Product in full, any applicable delivery charges, and any reasonable costs you incur in returning the item to us. 7. We will refund you on the credit card or debit card used by you to pay. 2. unless the Products are faulty or not as described (in this case, see clause 9.7), you will be responsible for the cost of returning the Products to us or, where relevant, the cost of us collecting the Products from you. 3. you have a legal obligation to keep the Products in your possession and to take reasonable care of the Products while they are in your possession. 9. Details of your legal right to cancel and an explanation of how to exercise it are provided in the Dispatch Confirmation. 10. As a consumer, you will always have legal rights in relation to Products that are faulty or not as described. These legal rights are not affected by the returns policy in this clause 9. Advice about your legal rights is available from your local Citizens’ Advice Bureau or Trading Standards office. 1. Your order will be fulfilled by the estimated delivery date set out in the Dispatch Confirmation, unless there is an Event Outside Our Control. If we are unable to meet the estimated delivery date because of an Event Outside Our Control, we will contact you with a revised estimated delivery date. 2. Delivery will be completed when we deliver the Products to the address you gave us when placing your order. 1. Unfortunately, we do not deliver to addresses outside the UK. Save as mentioned in clause 11.1, you may place an order for Products from outside the UK, but this order must be for delivery to an address in the UK. 1. The prices of the Products will be as quoted on our site from time to time. We take all reasonable care to ensure that the prices of Products are correct at the time when the relevant information was entered onto the system. However if we discover an error in the price of Product(s) you ordered, please see clause 12.5 for what happens in this event. 2. Prices for our Products may change from time to time, but changes will not affect any order which we have confirmed with a Dispatch Confirmation. 3. The price of a Product excludes VAT. VAT is added at the applicable current rate chargeable in the UK. However, if the rate of VAT changes between the date of your order and the date of delivery, we will adjust the VAT you pay, unless you have already paid for the Products in full before the change in VAT takes effect. 4. The price of a Product does not include delivery charges. Our delivery charges are as quoted on our site from time to time. To check relevant delivery charges, please refer to our Delivery Charges page. 2. if the Product’s correct price is higher than the price stated on our site, we will contact you in writing as soon as possible to inform you of this error and we will give you the option of continuing to purchase the Product at the correct price or cancelling your order. We will not process your order until we have your instructions. If we are unable to contact you using the contact details you provided during the order process, we will treat the order as cancelled and notify you in writing. 1. Payment for the Products is taken via SagePay. Your use of SagePay is subject to its terms and conditions. You can only pay for Products using a debit card or credit card. We accept the following cards: Visa, American Express, MasterCard, and Maestro. 2. Payment for the Products and all applicable delivery charges is in advance. We will not charge your debit card or credit card until we dispatch your order. 1. Some of the Products we sell to you come with a manufacturer’s guarantee. For details of the applicable terms and conditions, please refer to the manufacturer’s guarantee provided with the Products. 2. If you are a consumer, a manufacturer’s guarantee is in addition to your legal rights in relation to Products that are faulty or not as described. Advice about your legal rights is available from your local Citizens’ Advice Bureau or Trading Standards office. 1. For Products which do not have a manufacturer’s guarantee, we provide a warranty that on delivery and for a period of 3 months from delivery, the Products shall be free from material defects. However, this warranty does not apply in the circumstances described in clause 15.2. 3. any specification provided by you. 3. If you are a consumer, this warranty is in addition to your legal rights in relation to Products that are faulty or not as described. Advice about your legal rights is available from your local Citizens’ Advice Bureau or Trading Standards office. 1. This clause 16 only applies if you are a business customer. 2. We only supply the Products for internal use by your business and you agree not to use the Product for any re-sale purposes. 5. Subject to clause 16.3 and clause 16.4 , our total liability to you in respect of all other losses arising under or in connection with the Contract, whether in contract, tort (including negligence), breach of statutory duty, or otherwise, shall in no circumstances exceed 150% of the price of the Products ordered. 6. Except as expressly stated in these Terms, we do not give any representation, warranties or undertakings in relation to the Products. Any representation, condition or warranty which might be implied or incorporated into these Terms by statute, common law or otherwise is excluded to the fullest extent permitted by law. In particular, we will not be responsible for ensuring that the Products are suitable for your purposes. 1. This clause 17 only applies if you are a consumer (for an explanation of the word consumer, see clause 5.1). 2. If we fail to comply with these Terms, we are responsible for loss or damage you suffer that is a foreseeable result of our breach of these Terms or our negligence, but we are not responsible for any loss or damage that is not foreseeable. Loss or damage is foreseeable if they were an obvious consequence of our breach or if they were contemplated by you and us at the time we entered into the Contract. 3. We have no liability to you for any loss of profit, loss of business, business interruption, or loss of business opportunity. 1. We will not be liable or responsible for any failure to perform, or delay in performance of, any of our obligations under a Contract that is caused by an Event Outside Our Control. An Event Outside Our Control is defined below in clause 18.2. 2. An “Event Outside Our Control” means any act or event beyond our reasonable control, including without limitation strikes, lock-outs or other industrial action by third parties, civil commotion, riot, invasion, terrorist attack or threat of terrorist attack, war (whether declared or not) or threat or preparation for war, fire, explosion, storm, flood, earthquake, subsidence, epidemic or other natural disaster, or failure of public or private telecommunications networks or impossibility of the use of railways, shipping, aircraft, motor transport or other means of public or private transport. 1. When we say “in writing” in these Term, this means by e-mail unless we specify otherwise. 3. If we have to contact you or give you notice in writing, we will do so by e-mail to the address you provide to us in your order. 4. If you are a business, please note that any notice given by you to us, or by us to you, will be deemed received and properly served 24 hours after an e-mail is sent. In proving the service of any notice it will be sufficient to prove that such e-mail was sent to the specified e-mail address of the addressee. 1. We may transfer our rights and obligations under a Contract to another organisation, but this will not affect your rights or our obligations under these Terms. We will always notify you by posting on this webpage if this happens. 2. You may only transfer your rights and obligations under these Terms to another person if we agree in writing. However if you are a consumer (for an explanation of the word consumer, see clause 5.1) and you have purchased a Product as a gift, you may transfer the benefit of the warranty in clause 15 to the recipient of the gift without needing to ask our consent. 3. This contract is between you and us. No other person shall have any rights to enforce any of its terms, whether under the Contracts (Rights of Third Parties Act) 1999 or otherwise. However, if you are a consumer, the recipient of your gift of a Product will have the benefit of our warranty at clause 15, but we and you will not need their consent to cancel or make any changes to these Terms. 6. If you are a consumer (for an explanation of the word consumer, see clause 5.1), please note that these Terms are governed by English law. This means a Contract for the purchase of Products through our site and any dispute or claim arising out of or in connection with it will be governed by English law. You and we both agree to that the courts of England and Wales will have non-exclusive jurisdiction. However, if you are a resident of Northern Ireland you may also bring proceedings in Northern Ireland, and if you are a resident of Scotland, you may also bring proceedings in Scotland. 7. If you are a business, these Terms are governed by English law. This means that a Contract, and any dispute or claim arising out of or in connection with it or its subject matter or formation (including non-contractual disputes or claims), will be governed by English law. We both agree to the exclusive jurisdiction of the courts of England and Wales. 2. 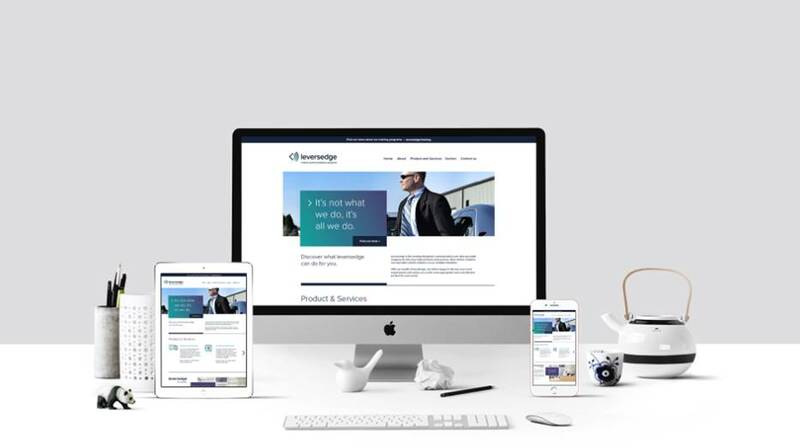 The terms ‘Leversedge Telecom Services Limited’ or ‘us’ or ‘we’ are used interchangeably herein and refer to the owner of the website whose registered office. Leversedge Telecom Services Limited is a company registered in England and Wales (company registration number 1207776) whose registered office is at 23 Slater Street, Leicester, LE3 5AS. The term ‘you’ refers to the user or viewer of our website. 2. We may update our site from time to time, and may change the content at any time. However, please note that any of the content on our site may be out of date at any given time, and we are under no obligation to update it. 3. We do not guarantee that our site, or any content on it, will be free from errors or omissions. 1. Access to our site is made available free of charge. 3. You are responsible for making all arrangements necessary for you to have access to our site. 1. The content on our site is provided for general information only. It is not intended to amount to advice on which you should rely. Although we make reasonable efforts to update the information on our site, we make no representations, warranties or guarantees, whether express or implied that the content on our site is accurate, complete or up-to-date. 5. any indirect or consequential loss or damage. 5. If you are a consumer user, please note that you agree not to use our site for any commercial or business purposes, and we have no liability to you for any loss of profit, loss of business, business interruption, or loss of business opportunity. 7. Different limitations and exclusions of liability will apply to liability arising as a result of the supply of any goods by use to you, which will be set out in our terms and conditions of supply. 4. disclosure of such information to law enforcement or authorities as we reasonably feel necessary. 9. In addition to all of our rights set out above, we reserve the right to take down any content that you upload to our site at any time without notice and without having to give a reason. 10. Any content you upload to our site will be considered non-confidential and non-proprietary, and we have the right to use, copy, distribute and disclose to third parties any such content for any purpose. 11. We also have the right to disclose your identity to any third party who is claiming that any content posted or uploaded by you to our site constitutes a violation of their intellectual property rights, or of their right to privacy. We will not be responsible, or liable to any third party, for the content or accuracy of any content posted by you or any other user of our site. 12. The views expressed by other users on our site do not represent our views or values. 1. You may link to our home page, provided you do so in a way that is fair and legal and does not damage our reputation or take advantage of it. You must not establish a link in such a way as to suggest any form of association, approval or endorsement on our part where none exists. 2. You must not establish a link to our site in any website that is not owned by you. 1. Where our site contains links to other sites and resources provided by third parties, these links are provided for your information only. We have no control over the contents of those sites or resources.